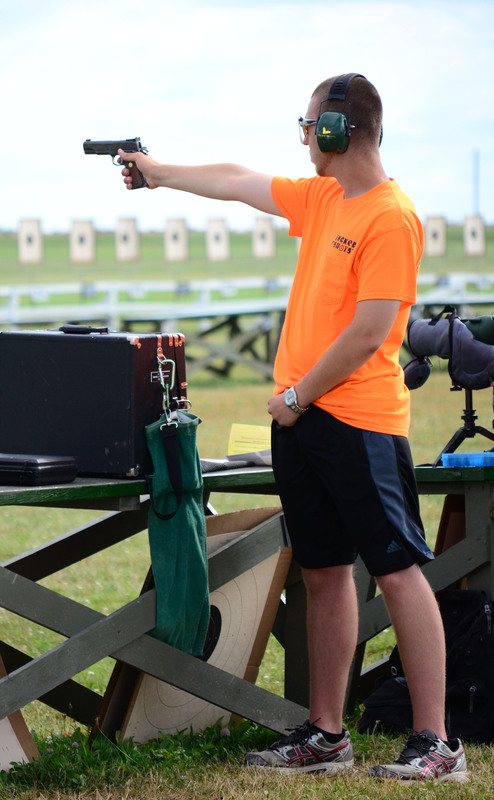 The CMP Pistol Program features the Distinguished Pistol Badge and Service Pistol shooting in National Trophy Pistol and Excellence-in-Competition Matches. 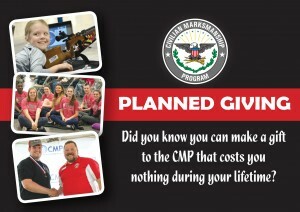 The CMP is making groundbreaking changes in this program that will appear in the 2015 CMP Competition Rules and go into effect during the 2015 competition year. These changes are designed to protect CMP Pistol Program traditions while simultaneously modernizing it and providing a foundation for growth. 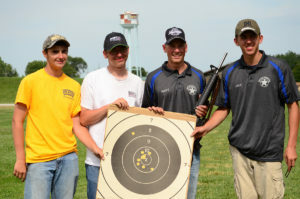 The CMP Pistol Program features what can be called “classical bulls-eye pistol shooting.” This is an especially challenging and difficult form of target competition that is now more than 110 years old. This traditional pistol discipline preserves the practice of shooting pistols like they were originally designed to be used. It emphasizes precision pistol marksmanship done in the standing position while holding the pistol with one extended arm. Difficult targets with graduated scoring rings place great emphasis on precision marksmanship skills. CMP pistol shooting is done with pistols that evolved from as-issued service pistols and retain non-optical sights. The 2015 rule changes represent a major CMP effort not just to preserve, but also to advance classical bulls-eye pistol shooting in the USA. After a lengthy study, many hours of discussion and careful consideration of input from nearly 200 shooters and match sponsors, the CMP Rules Committee and Board of Directors have now approved 2015 pistol rules changes that provide for 1) allowing pistols with additional, popular match conditioning modifications, 2) broadening CMP Service Pistol Rules to permit the use of a wider variety of service-type pistols, 3) the establishment of a detailed list of “approved service pistols,” 3) the limited expansion of permitted ammunition, 4) the creation of a new Distinguished .22 Rimfire Pistol Badge and EIC program, 5) the adoption of minimum credit scores for earning EIC points and 6) an increase in the number of EIC matches that competitors can shoot. Distinguished Badges are not easy to earn and these rule changes won’t make it easier to earn them, but they will dramatically expand the variety of pistols that can be shot in EIC or “leg” matches. Competitors will still have to finish in the top 10 percent of Non-Distinguished shooters to earn EIC credit points and new minimum credit scores will ensure that no EIC points are awarded for sub-standard scores. One of the most important program additions will be a new .22 Rimfire Distinguished Pistol Badge. This will be a second Distinguished Pistol Badge that can be earned with .22 rimfire pistols. While open to all shooters, this new pistol event promises to attract many new shooters to CMP pistol shooting, including more women and juniors, whose participation in Service Pistol shooting has been very low. 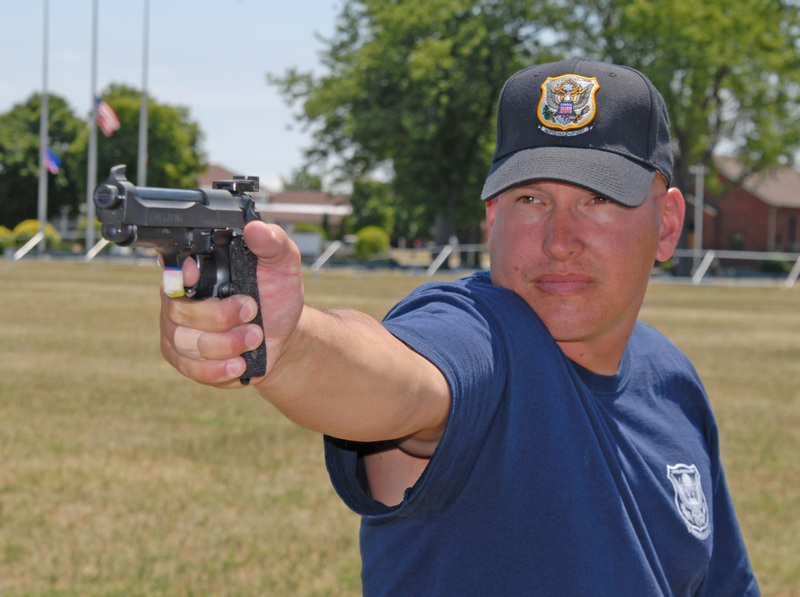 One thing that will not change in the CMP Pistol Program is its central focus on classical bulls-eye pistol shooting with the traditional and uniquely challenging one-handed shooting stance. These changes in the CMP Pistol Program were made because participation in Service Pistol shooting has declined over several decades; because current, restrictive service pistol rules limit access to the program and to respond to the many recommendations for change that the CMP has received over the last decade. The CMP Board of Directors and its Rules Committee decided steps must be taken to open the CMP pistol program to greater participation. To do this, they appointed a blue ribbon panel of pistol and competition experts to evaluate the program and make recommendations. The CMP Pistol Program Review Panel was comprised of 15 experienced competitors, match officials and pistol armorers. Panel members have earned 12 Distinguished Badges. After a lengthy study and many hours of discussion, the Panel recommended 1) allowing pistols with additional, popular match conditioning modifications to be used, 2) broadening CMP Service Pistol Rules to permit a wider variety of service-type pistols, 3) the establishment of a detailed list of “approved service pistols,” 3) the limited expansion of permitted ammunition, 4) the creation of a new Distinguished .22 Rimfire Pistol Badge and EIC program, 5) the adoption of minimum scores for earning EIC points, 6) an increase in the number of EIC matches that competitors can shoot and 7) the inauguration of a promotional program to support CMP Pistol shooting. Accurized M9 pistols now dominate the top ranks of EIC and National Trophy Match shooting, but the 2015 CMP Pistol Rule changes will change a pistol discipline that was previously limited to M9 and M1911 pistols to one where competitors can use many other service-type pistols. 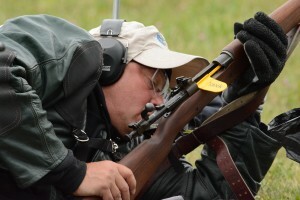 The shooter in the photo is Army SFC James Henderson, four-time winner of the National Trophy Individual Match. After considering hundreds of written and oral comments and much further discussion, the Panel finalized their recommendations and prepared new draft rules for presentation to the CMP Rules Committee. The Rules Committee and CMP Board have now approved these changes for inclusion in the 2015 CMP Competition Rules for Service Rifle and Pistol. LEGAL SERVICE PISTOLS. The previous rules recognized only M1911 and M9 U. S. military pistols and commercial equivalents that closely copied those pistols. The 2015 rules will permit a wide variety of U. S. service pistols or pistols “derived from U. S. or foreign service pistol design” that are chambered for cartridges “no smaller than 9 x 19 mm and no larger than .45 ACP.” A list of approved Service Pistols and chamberings is in the rules, but a regularly updated version will always be available on the CMP website. Approved pistols must be chambered for designated cartridges and comply with specified barrel lengths. All Service Pistols must have 4 pound trigger pulls. OTHER APPROVED SERVICE PISTOLS. The 2015 Pistol Rules provide a list of “other approved Service Pistols.” This list includes pistols from 14 different manufacturers along with the specific cartridges those pistols must fire. The concept embodied in this change is to open EIC Match to shooters who already own these pistols and would like to shoot them in EIC matches if they are authorized. The list of current approved Service Pistols is now posted at http://thecmp.org/competitions/cmp-pistol-program/ as the new CMP Competition Rules for Service Rifle and Pistol rulebook is in its final stages of preparation and will be released in January. An exciting new addition to the CMP Pistol Program will be .22 Rimfire Pistol EIC Matches and the opportunity to earn a Pistol Distinguished Badge with .22 rimfire pistols. MATCH-CONDITIONING MODIFICATIONS. The new rules now permit pistols with several additional match-conditioning modifications that were not previously permitted. In addition to authorized modifications on M1911 and M9 pistols such as barrel bushings, extended and vented triggers, replacement sights and Accurails, the new rules will permit all approved service pistols to have oversize or extended magazine releases, hammers of any configuration, beavertail grip safeties, ambidextrous or extended safeties and full-length recoil guides. 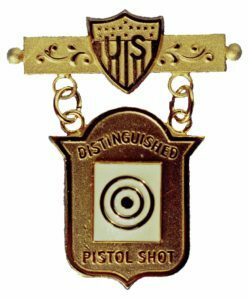 DISTINGUISHED .22 RIMFIRE PISTOL BADGE. Judging by shooter responses to the initial announcement of proposed pistol program changes, the new Pistol Distinguished Badge should become very popular. A new and completely different badge is being designed. Rimfire Pistol EIC matches will be fired as separate matches where only .22 cal. pistols can be fired. The 30-shot National Match Course will also be used for.22 Rimfire EIC matches except that the ready (start) position for timed and rapid-fire series will be with the pistol lowered to a 45 degree angle. If the range has a high bench that does not permit a 45-degree ready position, the loaded pistol must start from a point just above the bench. An objective of this requirement is to add a new skill that must be mastered to earn the .22 Rimfire Distinguished Badge. The low gun start position will also make this CMP pistol event more relevant to Junior and College shooters who already use low gun start positions in their matches. The rules for earning .22 Rimfire Pistol EIC points will be the same. Competitors must finish in the top 10 percent of all Non-Distinguished shooters. There won’t be any Distinguished shooters in the first .22 Rimfire Pistol EIC Matches, but there will be lots of Distinguished Service Pistol shooters who will be trying to earn a second pistol badge so the competition level will be high. The CMP encourages all EIC Match sponsors to offer both Service Pistol and Rimfire Pistol EIC Matches to be fired in succession on the same day. CMP Competitions has announced that the first .22 Rimfire Pistol EIC Match will take place on Saturday, 11 April, during the CMP Games – Oklahoma. 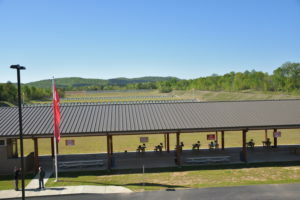 The CMP will also conduct 2015 .22 Rimfire Pistol EIC Matches at the Eastern CMP Games at Camp Butner, NC on 3 May, and during the National Matches at Camp Perry on 7 July. CMP-affiliated clubs that want to sponsor .22 Rimfire Pistol EIC Matches may schedule these matches anytime after 12 April 2015. Applications may be submitted after 1 January. MORE EIC MATCHES IN ONE YEAR. The current requirement that Non-Distinguished shooters can fire in only one National Trophy Pistol Individual Match and a maximum of three EIC matches will be changed to one NTI Match and a maximum of five EIC matches per year. The five EIC match limit will apply to both Service Pistol and .22 Rimfire Pistol EIC Matches as well as to Service Rifle EIC Matches. In a program change that could encourage more participation in National Matches pistol events, the current Service Pistol Warm-Up Match will be changed to a 30-shot Service Pistol EIC Match that will count as one of the five allowable EIC matches. On that same day, the CMP will also offer a .22 Rimfire Pistol EIC Match. MINIMUM SCORES FOR EIC CREDIT POINTS. While recommending that pistol shooters have more opportunities to shoot EIC matches each year, the CMP Pistol Panel wanted to make sure this does not make earning EIC points easier. 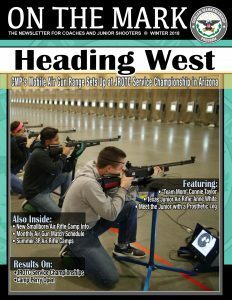 A key provision for ensuring that only Distinguished level scores earn EIC points will be a new requirement for any score that ranks in the top ten percent of Non-Distinguished Service Pistol shooters to score 250 or higher before EIC points are awarded. The initial cut score for.22 Rimfire Pistol EIC points is 260. ACHIEVEMENT AWARD PINS FOR EIC MATCHES. 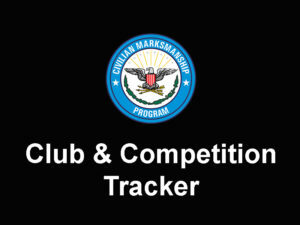 In another change designed to spark participation, the CMP will now make its popular Achievement Award Pins available for shooters in Rifle and Pistol EIC Matches who fire scores that exceed cut scores for Gold, Silver and Bronze Award Pins. These cut scores are based on scores fired by Non-Distinguished competitors in the National Trophy Individual Matches with the bronze cut score being roughly equal to the 40th percentile score, the silver score being equal to the 20th percentile score and the gold award being equal to the top seven percent. Achievement Pins will now replace previous EIC awards where place metals were sent to the first three place winners only. There are several key objectives the CMP is seeking to fulfill with these rule changes. The most important objective is to support greater participation in classical bulls-eye pistol shooting. To put this objective in perspective, it is important to understand that the CMP’s statutory mission is “to instruct citizens of the United States in marksmanship… promote practice and safety” and “conduct competitions in the use of firearms.” This means the CMP’s highest responsibility is to promote widespread participation with both rifles and pistols and to get as many U. S. citizens as possible out to ranges where they can learn marksmanship skills and practice rifle or pistol shooting. 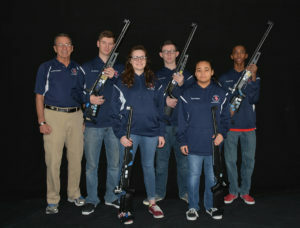 Another key objective is to preserve and grow the traditions of the Distinguished Program that has awarded prestigious Distinguished Badges to 4,600 USA pistol shooters during its 110-year history. Those badges are a source of enormous pride and distinction to the shooters who earn them. 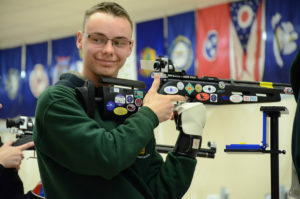 The badges represent the attainment of a high level of skill in marksmanship competitions that are uniquely related to military marksmanship traditions. 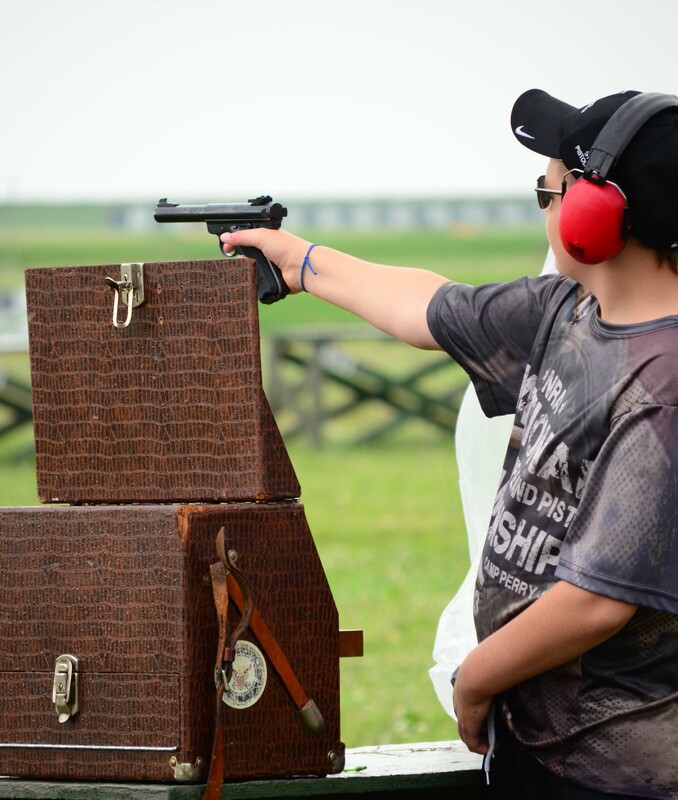 Those traditions can best be protected by making sure it does not become easier to earn these badges, but also by making this great program available to more shooters who are willing to do the extra work necessary to become Distinguished Pistol Shots. 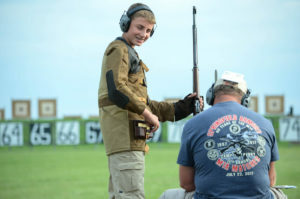 When the CMP Pistol Review Panel evaluated the Distinguished program, it was clear that honoring these traditions could have greater impact if more men, women and juniors participate in EIC matches. Allowing pistols with many popular match-conditioning modifications to be used in Service Pistol EIC Matches will help accomplish this. Many M1911-type pistols with previously prohibited modifications can now be used. 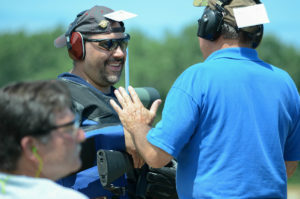 The pistol experts on the panel agreed that modifications like combat hammers, beavertail grip safeties and ambidextrous safeties will not add points to shooters’ scores in pistol National Match Courses where the emphasis is on precision marksmanship, but allowing these features will let more shooters shoot their pistols in EIC Matches. Indeed, a major objective was to make sure allowing new pistols or additional match conditioning features will not place current Service Pistols at a competitive disadvantage. When considering these additional match-conditioning features it is important to remember that current Service Pistols and Service Rifles are a long ways from any “as-issued” ideal. The 2014 CMP Rules, for example, contained 11 special exemptions for M1911 pistols and 14 authorized accurizing modifications for M16 rifles. Pistol and rifle EIC Matches ceased to be competitions for “as-issued” pistols or rifles many decades ago. The new rules embody a fundamental standard that will be used to judge any pistol that is proposed for inclusion on the “Approved Service Pistol” list. 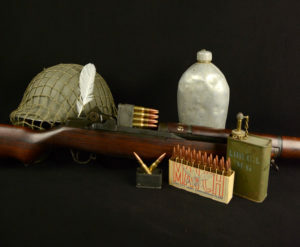 “The pistol must be a U. S. Service Pistol or a pistol derived from U. S. or foreign service pistol design.” The original design must have been developed for military or police purposes, not for target shooting. Another objective in respecting Distinguished Badge traditions was to make sure changes do not water down the requirements for earning a Distinguished Badge. Many of the negative comments regarding the proposed rule changes expressed concerns that changes would make it easier to earn the badges or that they would somehow “dumb down” EIC requirements. However, no one who expressed these concerns explained how this would happen. The answer to these concerns is to remember that to earn EIC credit points, shooters must still finish in the top ten percent of the Non-Distinguished shooters. Plus, the new “minimum credit scores” will ensure that no competitor receives a “leg” for firing a sub-standard score. The introduction of a new .22 Rimfire Pistol Distinguished Badge program is designed to increase CMP pistol competition opportunities especially for women and juniors as well as to attract a whole new group of pistol shooters who have not been active in center-fire pistol shooting. Lots of people own rimfire target pistols and the CMP wants to get them participating in the CMP pistol program. The Pistol Review Panel debated whether to include two-handed pistol shooting in the EIC course of fire. 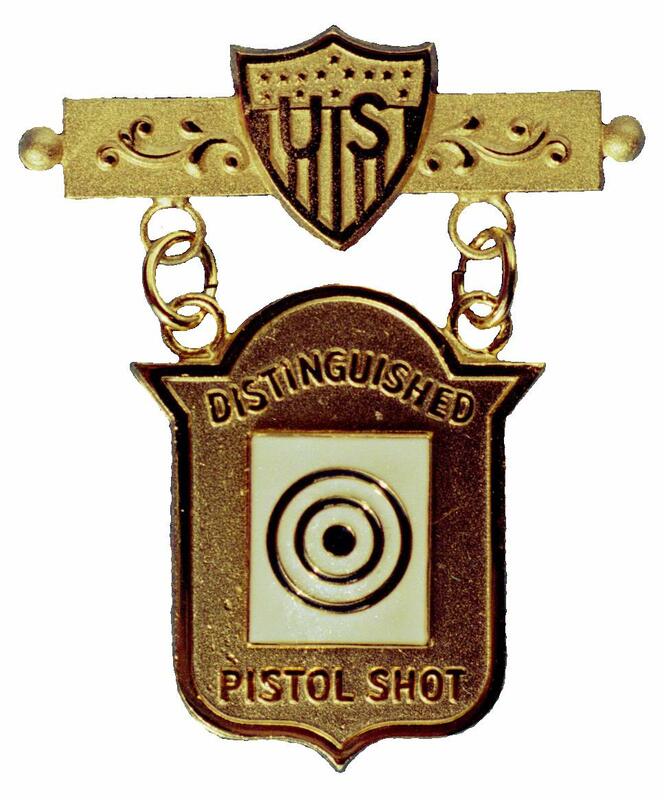 They concluded that traditional one-handed bulls-eye pistol shooting is a classical shooting skill that must be preserved and promoted because it is so uniquely challenging. It is more difficult to shoot a pistol with one hand, but that is part of the Distinguished Badge tradition that is so special and must be preserved and promoted by the CMP Pistol Program. Anyone with questions or comments about the new CMP Pistol Rules is invited to contact CMP Competitions at [email protected]. The new CMP Competition Rules for Service Rifle and Pistol rulebook is in its final stages of preparation and will be released in January. The first .22 Rimfire Pistol EIC Match will be conducted at the CMP Games – Oklahoma on 11 April. CMP clubs that plan to conduct Pistol EIC Matches in 2015 after that date should make plans to include a .22 Rimfire Pistol EIC Match in their programs. CMP clubs should also start to get the word out to pistol shooters who have not been firing EIC Matches that new opportunities for them to fire in Service Pistol and .22 Rimfire Pistol Matches are coming in 2015.